Is anti-Semitism on the Rise or Decrease in Venezuela? Salomon Cohen, the confederation president requested a formal investigation into the matter and a meeting with government officials. Last year, President Hugo Chavez met with Jewish community representatives to discuss what they described as an “incessant barrage of anti-Semitic commentaries” on state-run media. As a positive result, there was a detectable decrease in anti-Semitic rhetoric. Increasing diplomatic signals from the Chavez government explained that relations between the Jewish community and the revolutionary state of Venezuela were improving. 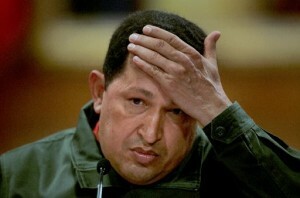 However, Venezuelan anti-Semitism seems to be brewing again among the most radical elements of government supporters as Chavez gets ready for a reelection campaign next year. G8 in Bed with Hamas. Why?